A recent relevant research by the Work Foundation predicted that by 2017 more than half of the employers in the UK will adopt flexible working practices by 2017 . Richard Branson’s Virgin Group has been an advocate of this practice for years. He has recently pointed-out the research within his blog , underlining also that in some major companies people have shown that they would be happy to give trade part of their salary with more flexible hours (see for example a study within Samsung cited by Branson) . In many ways Virgin Group cannot be considered a key reference to the trend because of its uniquely rooted culture: since the very beginning it has always featured a flair for aggressive business development and a zest for letting people express their personalities and interests “work hard, play hard” is no-doubt one of the Group’s mantra. In 2013 some direct statements by Branson made headlines on many newspapers across the globe “Give the people the freedom of where to work” . Now it seems like this is set to become mainstream also within more traditional organisational cultures; the reason for that is that increasingly companies need to focus on actual effective and efficient results and those often do not have many rational links to the routine of ‘showing-up on the job’. 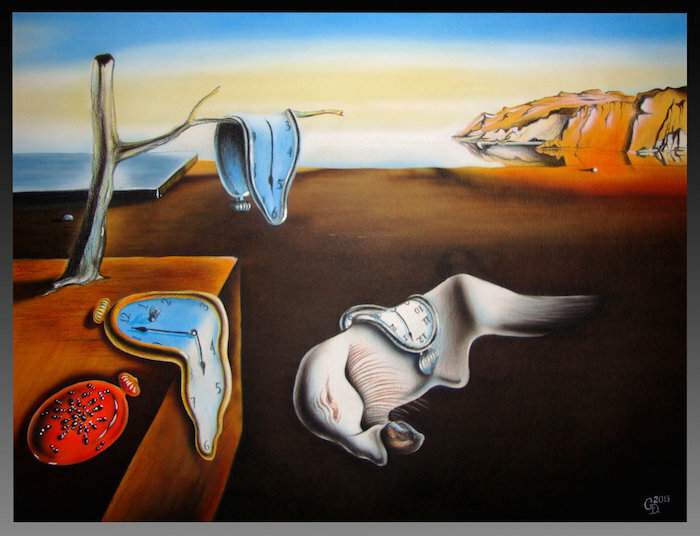 While this concept begins to make headways (if not for an actual focus on work – life balance, because of a pragmatic one on business development) the issue here is about the need for a suitable mindset and training to develop this novel way to work (even if, to many of us, entrepreneurs and professionals alike, this has not been novel at all for decades…) . In fact, flexible working requires two essential factors: a) people need to become aware of their skills to work with little task supervision yet meet stringent quantitative and qualitative targets (awareness need to focused continuos improvement action); b) companies need to have clear ideas of what needs to be assigned to whom depending on the people level of know-how, talent and what is actually needed to reach a well identified target. Richard Branson, with his story and strong visionary projection towards the future, can be easily perceived as one-off sort of person and entrepreneur. Many of his projects have been and are so outlandish that truly seem an ongoing PR stunt as the ones so many times he was involved directly into. 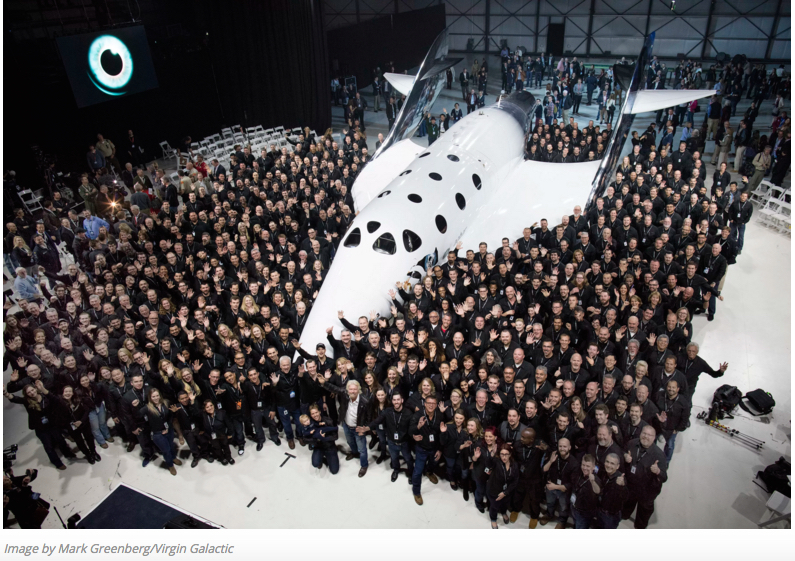 The project Virgin Galactic is one of them, with the actual SpaceShip Two recently present within a big Celebration even ‘Virgin Style’ (see article “Celebrating Unity” ). Yet, we need to realize that among successes and failures (that he openly admits and almost refreshingly seeks) there is one constant factor: truly empowering people (within his companies and outside of them) to aspire, inspire and give the very best while having FUN in the process. Fun is driven by a sense of unity, challenge, meaning and daring; characteristics that represent the essence of the Virgin Galactic project. The same kind of FUN can be built in any entrepreneurial project (relatively small or big) in any organisation. Its benefits will be manyfold as Virgin Group keeps on demonstrating. Are we up to dare enough for the challenge? 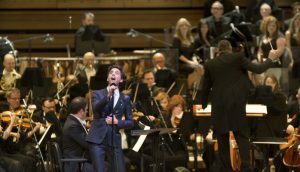 Recently the international pop artist Mika (www.mikasounds.com) expressed his talent in an markedly unusual way at the Teatro Sociale of Como (Italy) within a full house of 600 people, name of the show: “Sinfonia pop”. A one hour show in which the Lebanese born British by adoption, globetrotter, multilingual pop star, dared to do something he had been wanting to express for a long time: put his pop talent and his winning pop repertoire to challenge by expressing it live thorough the tunes and a full symphonic orchestra. As he stated, this was a show in which he was not at all the protagonist, he was simply a member of the team guided by the orchestra Maestro. Through the elegant free flowing entertaining show, Mika sheer talent got exponentially expressed and all of this was evidently fuelled by the fun he was having in performing. 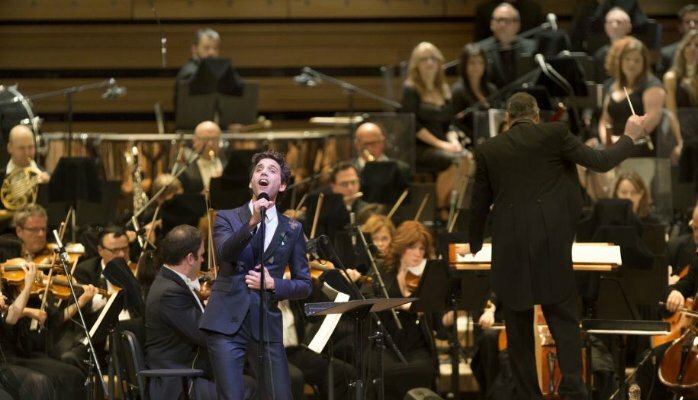 Mika dared to take his talent in a territory he has always fond of yet quite far from his roots and the roots of its globally successful production. His real talent has not been the performance in itself rather the daring of to compromise it all within an uncharted territory he had wanted to explore to chase a dream. Daring to put everything at risk, everything you have conquered and won, daring to try something new counting upon your experience and strengths; throw it all into something quite risky hardly tried before. How many of us are willing to challenge our talent, our strengths within uncharted, unfamiliar, potentially dangerous territories? Our talent can strengthen and blossom from this or it can boom. Reality is that talent not challenged within uncharted territories, as done by Mika, might not be (should not be, cannot be) called talent at all. 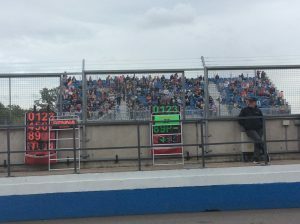 Formula-e live from Donington. Ever stronger focus on performance, efficiency and entertainment followed from Mahindra and Mahindra Racing perspective. I am currently following (from the comfortable media center above the pit lane compared to the breeze that has been blowing outdoors since early morning) the last day of Formula-e preseason testing in Donington while working on interviews and research relevant to the book FAST TRACK INNOVATION #fasttrackbook . Formula-e, since its very inception, has been driven by focus on sustainability, efficiency and innovation from several points of view that go even beyond the all fundamental technological one. The series has become an example of a new way (better say refreshed, back to original roots) to bring new energy to the relationship among fans and a global Motorsport championship. As a global Motorsport series it is no doubt more reacheble then many other series and it makes easier for fans to interact with world popular drivers (even former F1 world champions as Jacques Villeneuve) among other competitive drivers that perceive racing here as a way to revamp their image or to develop their career. The process is helped by the fact that the series is becoming ever more competitive from a technical and sporting point of view and at the same time is rapidly multiplying its media global following. 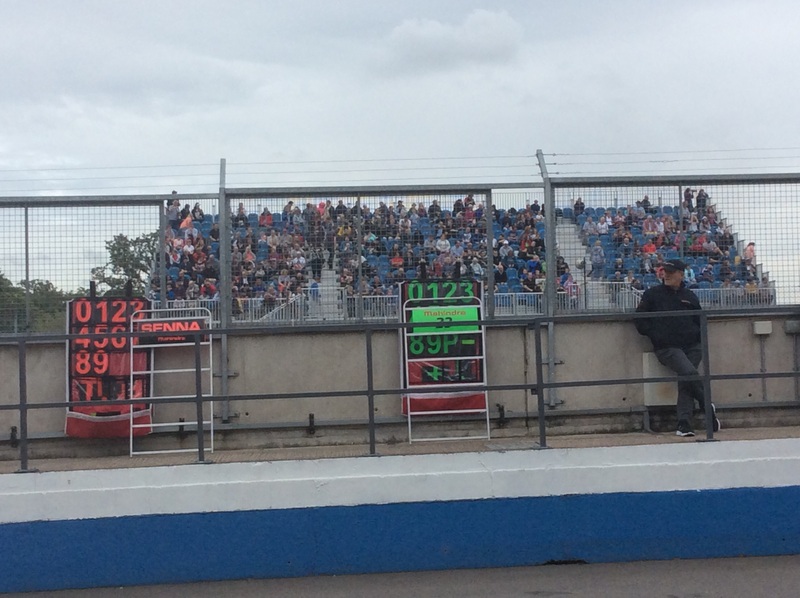 Besides watching that starting grid grandstand and quite full in a breeze morning is quite revealing. This championship is driven by a marked continuously renewed focus on factors that need to be integrated dynamically while the bar of relevant standards is being pushed higher and higher: efficiency, performance, entertainment. This is all very attractive for the automotive and Motorsport community alike for several reasons, all of them having to do with the concept of sustainability through innovative synergic integrations of: visions, resources, cross pollination among various technological fields, talents (even race driving is very much redefined here) and know-how relevant to engineering as well as to anything that pertains to communication and media. Mahindra from a corporate point of view is integrating forces with Mahindra Racing on these kind of dynamics with a technological interplay between automotive (Mahindra Reva is one of the very first electric car global projects that now is set in an evolutionary path related to higher performance) and track racing focusing more and more in rising the standards of being dependable, efficient (the Reva project has inspired much of the early and last season work on this) and reaching higher performance within the power cap set by the rules of the series. On top of this there is the overall key focus on media and communication that Mahindra is generating in relation to projects that at the corporate level aim to define and implement an all new way of looking, creating and experiencing mobility (sustainability, efficiency and practicality are some key stepping stones on this); Mahindra Racing integrates powerfully all of this with a particular focus on developing an higher level of active involvement from fans that at present are for the great majority simply viewers. This goes also to the very roots of an extremely needed and deserved process of Indian Motorsport proper and more widespread development. All of this will be further developed within the book integrating experiences of automotive and Motorsport projects and activities on a global scale that belong to history, present and future of automotive and Motorsport innovation interplay. Interviewing Chetan Maini (Reva founder and R&D Head) in Bangalore last January (he is also an active board member and technology reference to Mahindra Racing), Dilbagh Gill (CEO & Team Principal Mahindra Racing) and B.Karthik (VP Corporate Brand Management Mahindra) here in Donington has been a quite unique and inspirational experience that will have a marked influence on the book. No doubt India should be very proud of the multifaceted and far reaching developments that Mahindra has in place within its visionary path. Corporate India up-and-coming’s source of learning: the ‘west’ or indian tradition? During my recent business trip to India one thing that struck me is the increasing presence of ‘western’ food chains and all in all even lifestyle. A few days ago an article on Forbes India pointed this out “Eat street: India is the new battleground for global burger chains” . Now, going well beyond the given rhetoric relevant to the ‘western junk food’ conquering the ‘east’, I had the opportunity to observe and ponder about a spreading of western lifestyle reaching well beyond food, clothing or changing customs: something that seems to be reaching the way that many indian junior managers, moving rapidly upward within the career ladder, interpret their own corporate role. All of this is an integrated process. Western food chains, shops, brands, music (I attended a birthday lunch in a fancy restaurant within Mumbai where the US pop music from the 70s was played non-stop!) appear to take rapidly over the corporate developing and affirmed geographical areas. Even some of the imposing corporate buildings seem to be built in typical US fashion requiring structural maintenance after just a few years from construction. It all tends to have a flavour of pretentious, know-it all, superiority that little has to share with the humble yet determinate, firm and consistent entrepreneurial spirit typical of the indian tradition. I begun to think that, while pundits in the US start to point out the qualities of a more balanced, health conscious, professional lives driven by ‘getting back to basics’ in learning about our inner potentials and using them at work with skill and awareness; emerging corporate India seem to be losing this kind of mindset (in actuality part of its very own tradition) heading towards what the west has been going through and it is suffering from. India, its traditions, its culture, even its mindset (very much related to Jugaad, a skill to face reality in creative, innovative constructive ways, no matter the lack of opportunities or resources at hand – more on this topic coming up in these pages) deserve to be rediscovered, understood and valued not only by us ‘westerners’ but possibly also by the rising corporate India to avoid falling into mistakes made in the west. A strong sense of unique identity, on key factors that now corporate west wants to integrate for sustainability, has always been an integral part of India, why miss it? why don’t leverage on it though a process of integration with the lessons learned and in the process of being learned by the west? It would be quite interesting to open a conversation with the rising corporate indian on these topics. ‘Panta Rei’! (tutto scorre). Il celebre aforisma di Eraclito oggi assume un doppio significato: da un lato l’inesorabile presenza del cambiamento; dall’altro la necessità di rapportarsi con questo cambiamento nel modo più fluido, scorrevole possibile, senza esserne travolti. Oggi più che mai abbiamo il compito e responsabilità di essere non solo attori, ma anche produttori, registri e soprattutto scrittori del copione della nostra vita. Per questo osservare e riflettere su percorsi di vita di successo (dove il successo viene misurato con il riuscire ad esprimere il meglio di se, del proprio potenziale e farlo con consapevolezza). Innovare nello scrivere e vivere questo copione, raggiungere il massimo delle nostre Performance nel farlo. Sono questi i temi guida dell’ebook appena pubblicato: “Innovare e Performance. Nella scia di Ayrton Senna: apprendere i fondamenti su come scoprire e dare il meglio di se” – autori Riccardo Paterni e Andrea Morici – Edizioni Lifeplan. L’ebook presenta una narrazione a due voci. Da un lato tratti salienti del percorso professionale del compianto tre volte campione del mondo di Formula 1; un percorso che mette l’accento sul modo originale e innovativo (perché efficace) che lui utilizzo’ per sviluppare la propria carriera. Dall’altro lato riflessioni, commenti e esercizi pratici ispirati da aspetti concreti di quella narrazione. Il tutto sviluppato per stimolare in noi un senso di consapevolezza, progettualità e conseguenti azioni costruttive. 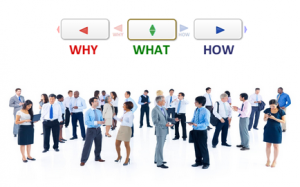 Lo schema di pensiero riguardante aspetti di innovazione e performance si rapporta anche ad un contesto più ampio, organizzativo, con specifici piani d’azione da implementare. E allora: ‘Panta Rei’! con una consapevolezza e progettualità che non sono solo alla portata dei campioni. The conference I moderated at the University of Pisa on the topic International business development. Is there a common enlightening and empowering trait? featured interaction among the International MBA students and a panel of four entrepreneurs and managers active on the global market in different fields (mechanical industrial, fashion, new technologies applied to health management and improvement, services for patent and innovation development) from the start-up to the major corporation. Three have been the common traits emerging strongly from the debate: innovation, teamwork, talent. All of them related to the overall need to create value in the perception of the customer, and the customers are not all alike even within the same sector. Innovation. It is not just fashionable or trendy, it is a must demanded by a market in continuos dynamic evolution and increasingly demanding from several points of view. Innovate to personalise to the customer needs while increasing efficiency and managing to slow down a progressive, almost inevitable, shrinking of operational margins almost across all of the sectors. Teamwork. It is increasingly the essential leverage to performance. Both at the technical or managerial level, without the ability to lead stimulating actual teamwork turns into an ineffective and dangerous for survival waste of resources. Talent. Creating value through innovation and teamwork nowadays depend on talent. The ability to express top level performance in a consistent way. To note that within the debate we have had different perspectives on talent selecting and managing: is it better to have top talented people with low interpersonal skills (even nasty) or talented-tending-to-average people with effective interpersonal skills? Some have had no doubt: it is part of the job description of a manager to handle ‘nasty’ talent and make it effective even within teamwork. Some have stated that in any case the development and focus on international skills for anybody is paramount. 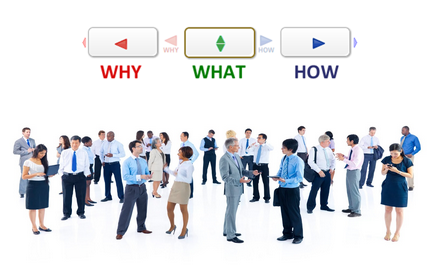 The interaction among professionals and the MBA participants has been strong, stimulated by all of this. Overall a concept has been clear: international markets are changing and shifting at an increasingly speed. There is the need to consistently analyse where is the best place, the best contexts, where to develop production, sales markets, financing projects. International business development. Is there a common enlightening and empowering trait? 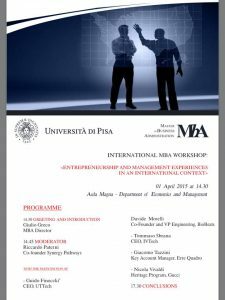 On April 1st, our University of Pisa International MBA is going to feature an event titled “Entrepreneurship and managerial experiences in an international context”. Top representatives from five very different companies (from the start-up to the corporation) belonging to several international economic fields, will debate with the participants to the VI edition of the MBA. This edition, the 24 participants are come from 20 different countries that are well representing the opportunities and problems present nowadays on a global scale. The MBA participants themselves have academic and affirmed professional backgrounds belonging to several organisational areas and economic fields. I look forward to moderate the debate and in particular I will try to focus the attention on finding and outlining a common powerful denominator in order to project an enlightened perspective regarding the opportunities present and ahead within the current fast changing global economic and social complexities. What can this common power force be? What can be the driving force forward for any project that unavoidably will run into barriers, shifting unpredictable contexts and at times outright chaos? On the topic I found quite enlightening and intriguing a recent interview to Apple’s CEO Tim Cook published by Fast Company. The key focus of the interview was, a matter of fact, centred on the challenges that no doubt are having an impact on the present and foreseeable future of the giant corporation. The title chosen for the interview is revealing of the CEO perspective “Tim Cook on Apple’s future: everything can change except values.” (http://www.fastcompany.com/3042435/steves-legacy-tim-looks-ahead) and it will be interesting to stimulate this kind of topic within April 1st debate. Participate to the debate to have your saying on these perspectives. 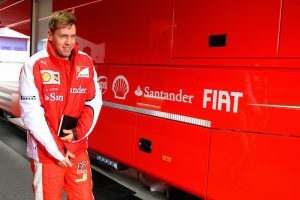 During the recent Formula 1 tests in Jerez Sebastian Vettel, the new Ferrari driver, has been noticed walking around with a large black notebook, a sort of an oversized classic Moleskine. This has been pointed out as quite unusual for a Formula 1, and overall Motorsport, context. He is utilising the notebook intensively, apparently making notes about everything that he is going through during the time on track and off track, in pits and paddock, spent with engineers and mechanics. Reportedly at the end of the day he transcribes all of the data, information, observations on his personal computer. It is a systematic approach potentially overshadowing the work of track engineers and causing friction within the teamwork roles; more likely showing everyone the kind of determined meticulous approach he is choosing to bring back not only Ferrari to success but also himself after a surprising (after four consecutive world championship titles) somewhat dismal season he has had with Red Bull Renault last season. A notebook and a pencil are also the trademark of Adrian Newey, the top technical mastermind Vettel has spent many years with at Red Bull. Pencil and paper are powerful tools in terms of their perception impact; they are no doubt noticed when they are utilised instead of all the mobile technology most of us feel nowadays bound to use even just to fit-in within a work method and keep up to pace with times. Beyond the actual content of the notebook (we will be able to tell as the racing season progresses if those notes are contributing to the improvement and success of the team) what really counts from the get go is the visual impact it has in stimulating the driver and the entire team to focus and ponder upon every single detail. 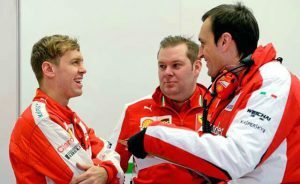 It has also been pointed out that Vettel has spent a lot of time with engineers and mechanics while the new car has been totally disassembled and reassembled, side by side focusing and contributing to develop rapidly a mutual welcoming feeling within the team. In the past we have had a few other quite evident and successful examples of meticulous approaches to the role of a Formula 1 driver. The late Ayrton Senna developed through the years his legendary career also because of his intense approach to racing. It has been reported by many engineers that worked with him that after testing he was able to communicate corner by corner, almost computer like, all of the reactions and settings of the car, back in his time telemetry was almost not present. He used to spend many hours side by side with the mechanics while they were working in making changes himself had been meticulously marked down on a one page sheet (to note that it all had to be on one page). Intense, focused and side by side work with the team. The same kind of approach that Michael Schumacher always had in methodically reading, interpreting and making sense of every single detail coming from telemetry data. Schumacher himself used to spend a lot of time side by side with mechanics while they were working to fully understand what was happening and strengthen the comrade spirit. It is a matter of fact Schumacher throughout his career always managed to form around him a strong focused team that markedly contributed to overcome tough and complex times towards achieving top and consistent success. It is often said that any process of change and improvement begins with actual awareness of reality and a sheer determination to improve it through focused appropriate actions. 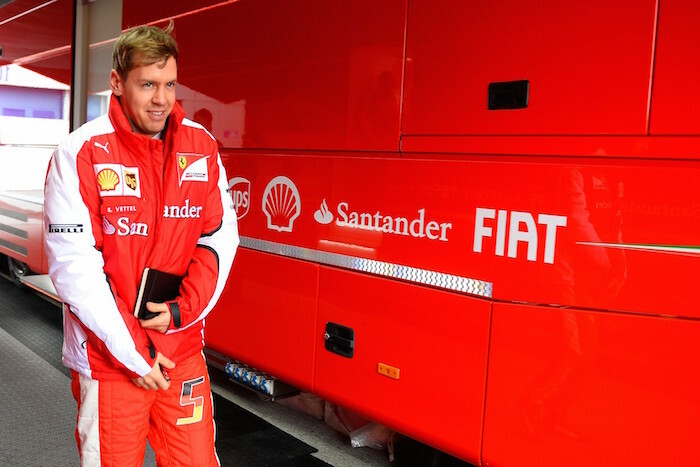 Vettel appears to take this by heart and no doubt, given also the size of the notebook, he is also making other people to pay attention to it. Time will tell whether this will contribute not only to consistent success but also to a winning overall team spirit. Diversity empowering global development. 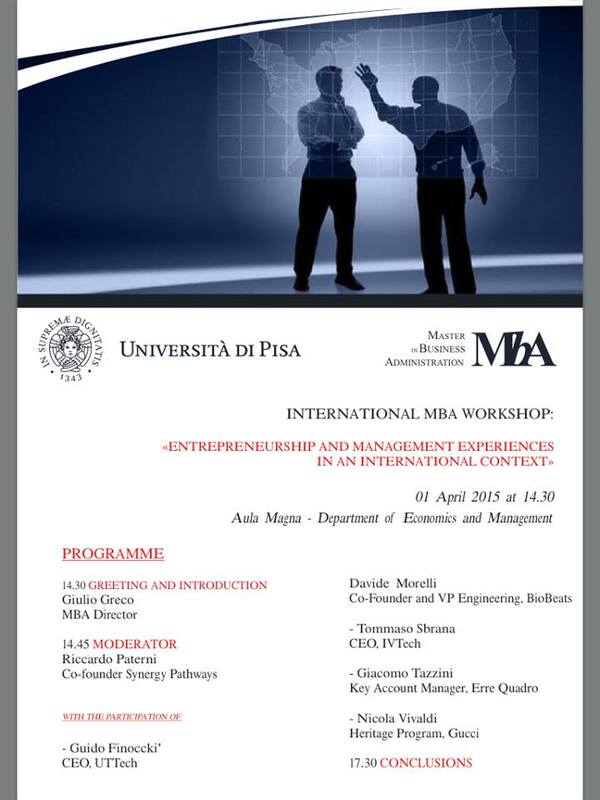 Pisa University 2015 MBA! The University of Pisa International Master in Business Administration has just reached the VI edition (http://mba.master.unipi.it/programme) and its developing more and more one of its key characteristics: the high level of diversity that becomes dynamically integrated within the program itself. Diversity from several points of view: culture (all continents have been represented throughout the six editions – about twenty different nationalities this edition) as well as academic and professional backgrounds (all of the key areas of organisational development are represented with the majority of the participants having years of work experience, at this link some key statics http://mba.master.unipi.it/alumni_and_careers ) belonging to global entrepreneurial, SME and corporate contexts. The program has the characteristics of an Executive International MBA yet it is intensive full time and completed in one year time in order to enable participants to progress rapidly within their global careers. We are in the process of powering up the Corporate Network linked to the MBA that is already quite extensive http://mba.master.unipi.it/corporate-network/career_network and continuing to formally and purposefully develop an Alumni Association. This to empower even more an extensive network of contacts that the MBA has generated among not only participants (by now around 150 alumni – on purpose classes are kept below the 30 participants threshold per edition) but also reaching out to the extensive international network of professors, individual professionals, entrepreneurs, managers that have been enriching the actual and consistent connections of this hands-on MBA with the managerial, economic and social dynamics of the ‘real world’. It is has been a pleasure for me to have had the opportunity to participate dynamically to the development of the program since the very first edition. Today I focus on Talent Identification and Development of the participants related to the progression of their careers and I coordinate the Business Game that is representing a concrete fresh entrepreneurial challenge integrating concretely the overall know-how and experiences developed throughout the MBA itself. 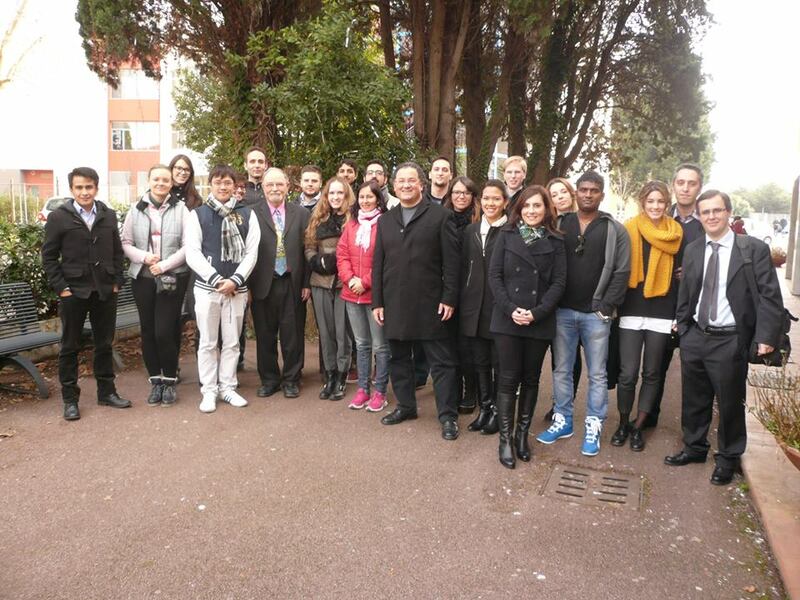 2015 MBA participants, we will enjoy the development path together. All of you interested to connect and enrich this unique context of learning and global know-how development feel free to contact me riccardo@synergypathways.net , I will be happy to dialogue with you regarding the ways we can contribute together to the development of this unique project.